Posted 8:35 pm by Administrator & filed under News. 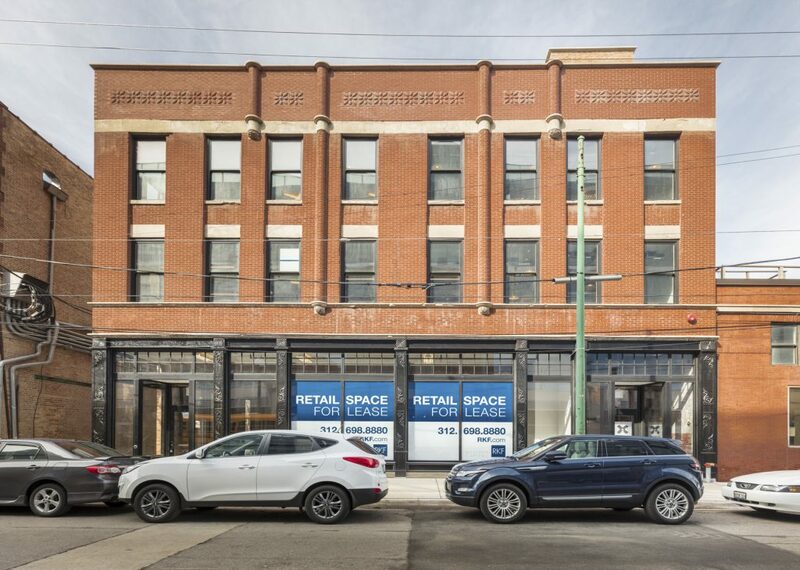 312 N. Carpenter in Chicago’s Fulton Market Historic District has achieved LEED Certification. This adaptive reuse project by HPA for Madison Capital converted a historic dairy building into retail space and the commercial offices of digital advertising agency iCrossing. The existing exterior and structural elements were retained, which maintains the integrity of the neighborhood fabric as well as preserves environmental resources by utilizing the embodied energy of the structure. The project team added windows and a large skylight to allow ample daylight to penetrate the building interior. Original materials were saved and re-used, including timber beams and columns that were reinforced with steel that added to the building’s industrial character. Photo courtesy of Madison Capital/ImageFiction.